The extremely dovish market reaction to the outcome of the FOMC meeting was more a function of the dot-plots than the FOMC statement or Yellen's press conference. Methodologically, we have argued that the Federal Reserve is like the Chinese Communist Party in that policy emanates from a central committee. That central committee at the Federal Reserve is composed of Yellen, Fischer and Dudley. The FOMC statement is their organ--the must succinct expression of their views. The statement was balanced, recognizing that growth had moderated and exports had slowed. However, the word patience was dropped and the FOMC completed its transition to a data-dependent stance from the date-driven forward guidance. In response to questions, Yellen noted that despite the moderation in economic activity, the Fed still anticipated growth to be above trend. The hawkish regional presidents appear to have moderated their views. The shear number of meetings let this year with a move in April ruled out, forced an adjustment to the year end forecasts in any event. There had been a substantial gap between the Fed's dot plots and what the market had priced into the Fed funds and Eurodolllar futures strip. The Fed took a big step toward the market's views, while the market moved its views a bit as well. The gap has narrowed at an absolutely lower rate level. Moreover, two hawks, Plosser and Fisher (Cleveland and Dallas Fed Presidents respectively) will be stepping down shortly and this will impact the dot plots. Minneapolis Fed President Kocherlakota, a dove, is also resigning. Previously we subjectively assigned a 80% probability of a June hike and 15% risk of September and 5% % for later. The FOMC statement and Yellen's press conference was has shaken but not broken our confidence that lift-off will still take place by the end of the summer (June/September). The balanced nature of Yellen's comments and the FOMC statement has prompted us to cut the odds of a June hike to 50% and raise the odds of a September hike to 40%, with 10% for later. The dollar's dramatic decline was a function of a too dovish read of the FOMC and an expression of the extreme market positioning. 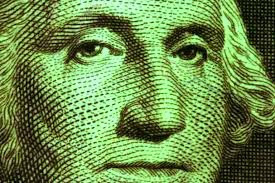 Medium and long-term investors have seized the opportunity to buy dollars and the greenback has recouped much of the ground lost yesterday. We remain unrepentant dollar bulls. The shake out leaves the market in a better technical position to resume the dollar's advance. We expect the US economic data will begin improving as the weather improves, the port dispute ends and the income generated by the robust improvement in the labor market is spent. At the same time the divergence theme, the major driver of the dollar's rally remains very much intact.